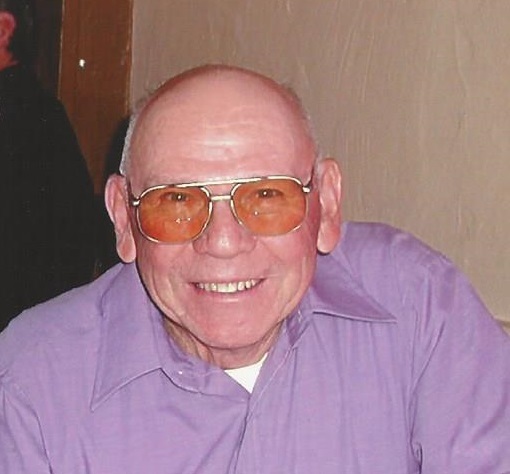 Carl J. Brunet, 87, formally of Hermon, died on February 21, 2015 at Maplewood Health Care and Rehabilitation Center. A graveside service will be on July 18, 2015, 11 am at St. Henry’s Cemetery, Father Stephen Rocker officiating, a luncheon will follow the service at the DeKalb Junction United Methodist Church. He is survived by his wife, Elaine, a daughter Carolyn and her husband Lloyd (Butch) Hadden of Winter Haven, Florida, sons, Randy and his wife Vicki Brunet of Edwards, Ritchie Brunet of Hermon, a sister Alida Doud of Fairport, 9 grandchildren, 10 great grandchildren, 3 great great grandchildren, several nieces and nephews. Carl was born on April 27, 1927 in Hermon, the son of Joseph H. and Pauline I. Baker Brunet Jr. He graduated from Hermon High School in 1945. Carl married Elaine J. Barr on November 5, 1949 at St. James Church Rectory, Gouverneur, Father Divine officiating. He ran a milk route and other hauling which was purchased in 1948, went to work for Town Highway Department in Hermon, spring 1951. Fall of November, 1951 he purchased farm and drove school bus for Hermon District. He worked for the County Department and was an Assessor for the Town of Hermon for five years. Carl worked part time for Roger McBath at Robinson’s Farm Equipment of Canton before 1979. He was a truck driver and did machinery set up for Dragroon Equipment in Canton until his retirement in 1992. Carl was a member of St. Henry’s Church and St. James Church. He loved dancing, reading the newspaper, farming, tinkering in his shop and being busy. Contributions can be made to the American Cancer Society or the Alzheimer’s Association. 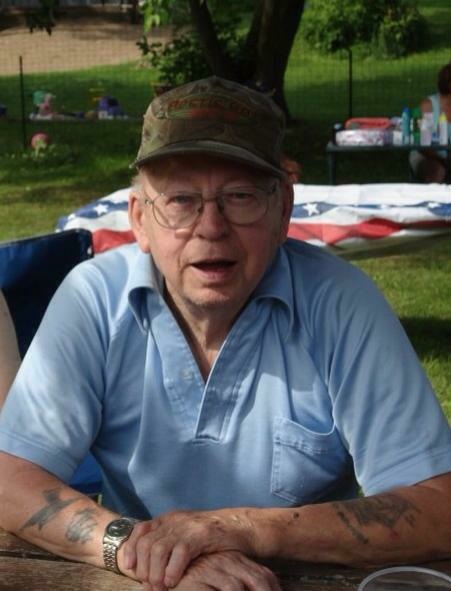 Cyrus W. Weller, 89, of DeKalb Junction, died on January 31, at Canton Potsdam Hospital. Calling hours will be February 3rd, 11 AM – 2 PM, a funeral service will be at 2 PM, Pastor Pedro Morales officiating. Burial will be in Morley Cemetery, Morley on June 12, 2015 at 2:00 PM. He is survived by his children, Ricky Weller of Clearwater, Texas, Michael Weller of Rensselaer Falls, Ronald Church of Ohio, Joseph Weller of Richville, Donna Merithew of Houston, Texas, Karen and her husband Raymond Austin of Fine, Deborah Waugh of Thomasville, North Carolina, Kathy and her husband Tim Gillespie of Stafford, Kimberly Weller of Watertown, Pamela Hendrick of Richfield Springs, 25 grandchildren, 33 great grandchildren, 5 great great grandchildren, several nieces and nephews. He was predeceased by a son Chris Weller, daughters, Cyra Jean Weller, Christina Weller, Mary Weller and siblings, Harry, Henry, Sherman, George, Viola and Laura Bullock and Warren Weller. Cyrus was born on February 21, 1925 in Hopkinton, New York, the son of Warren and Eva Brown Weller. He was in the United States Navy from 1944 -1946, while in the Navy he served on an attack transport, USS Menard which was part of the “Magic Carpet Fleet” in Pearl Harbor. He married Eudora Northup on November 11, 1943 at the Morley Methodist Church, she predeceased him on February 21, 1963, he then married Donna McCollum in October of 1965, and she predeceased him in 1984. Cy was a steel fabricator at St. Joseph’s Zinc Mine in Pierrepont for 38 years until his retirement in 1987. He was a past volunteer fireman at the DeKalb Junction Volunteer Fire Department, and was a founding member of the Morley Volunteer Fire Department. Cy enjoyed restoring automobiles, logging, hunting and fishing. In lieu of flowers contributions can be made to AMVETS Post 11, DeKalb Junction, New York, 13630.